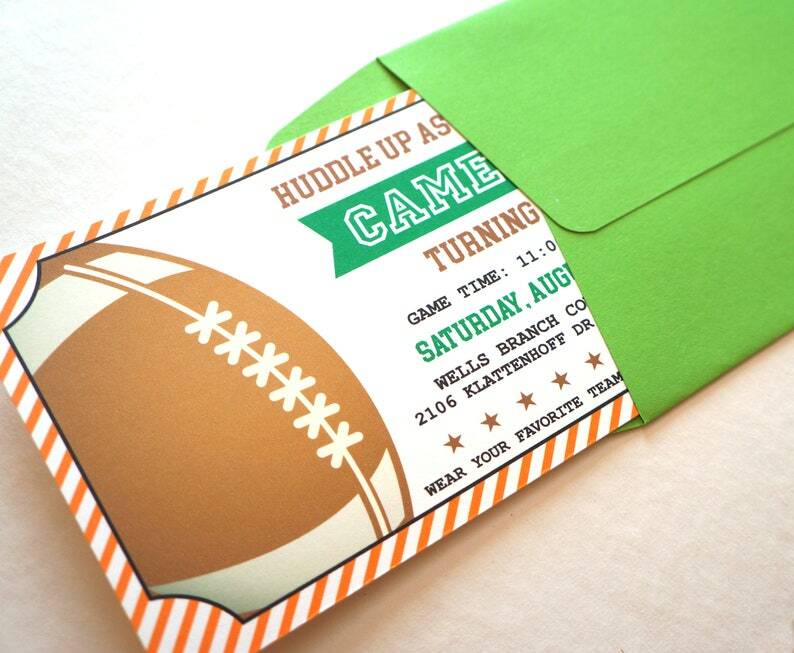 Celebrate your favorite football fan with these awesome football sports ticket birthday invitations. These birthday invitations are made to look like football sporting event tickets. Making this a fun, unique experience for your sports birthday party. Each invitation order is specially designed just for you. You will be able to customize the coloring, wording, layout, and envelope color. The invitation measures approximately 8.25" x 3.66", is professionally printed on a very thick 110lb cover stock. Each invitation will come with a #10 policy envelope in the color of your choice. 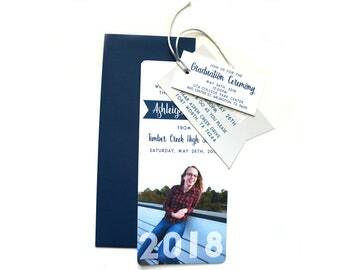 This invitation is $2.25 each with a minimum purchase of 20 invitations. You can place your order directly from this Etsy listing. After the purchase is complete, I will contact you with all the information needed to create your design. Once this information is obtained I will send you a proof (this typically takes between 1-2 days). Once the proof is approved, the printing and construction of your invitation will begin. This can take anywhere from 1-2 weeks.